Here in L.A. it’s been a constant stream of Hello Kitty related events celebrating 40 years of Sanrio’s adorable little kitty…girl…who isn’t a cat but totally is. Hello Kitty Con is just around the corner and Jeffrey Campbell has just released a new, limited edition collection that seem like definite must-haves to sport there – Hello Kitty X Jeffrey Campbell! 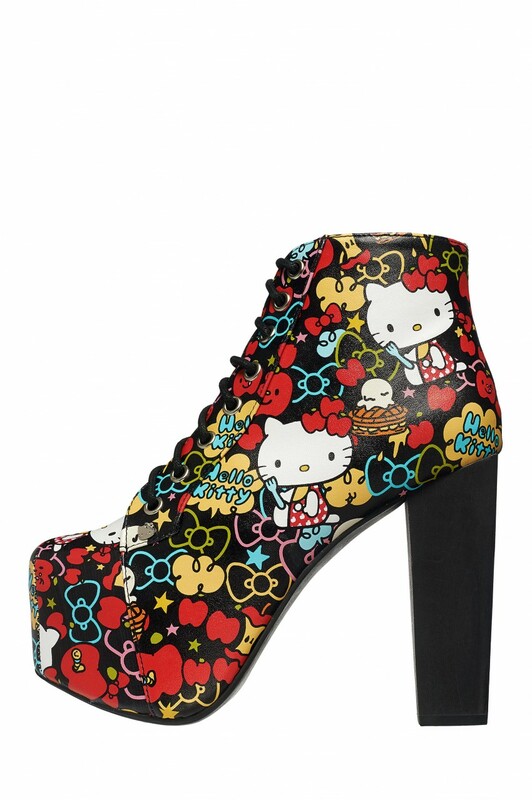 There are 10 Jeffrey Campbell shoe styles in the collection each featuring a unique Hello Kitty design, ranging from their classic Lita shoe covered in a Hello Kitty face print, to their Skully shoe that features Hello Kitty’s iconic red bow on the strap and a line drawing of her face on the toe of the shoe. 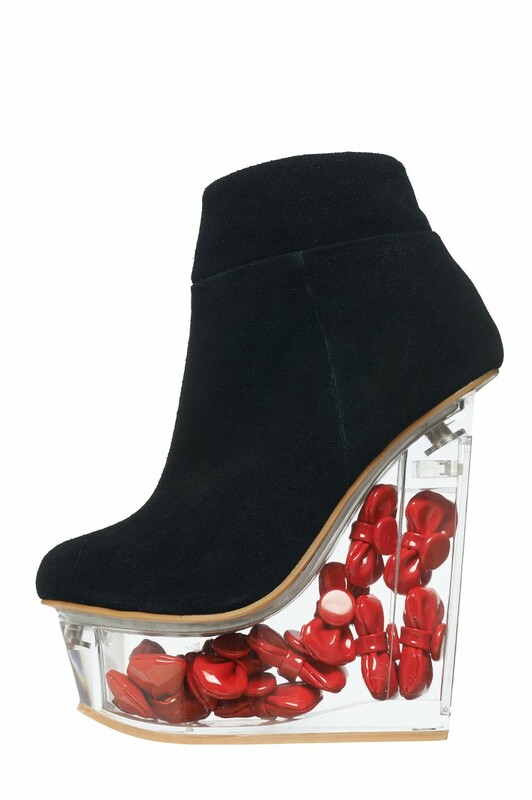 I think my favorite is their Icy shoe that features Hello Kitty bows in the lucite heel. The best part? It comes with two sets of colored bows that you can switch out or mix! You can find all the shoes available on the Jeffrey Campbell website, and some select designs on Ashbury Skies, Solestruck and Sanrio.com. So which Hello Kitty shoe is your favorite? Don’t forget, this is a limited edition collection, so get them while you can!